These are my cholesterol lab results after few months of working out regularly and eating healthy. 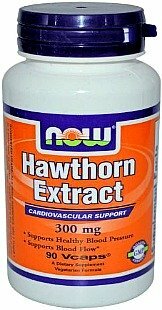 I also took fish oil and superberries, including Hawthorn which reflected on my blood lipid values. Besides these two, I ate considerable amount of garlic and added cayenne pepper to my meals, regularly. Although, these two may negatively affect your social life, their use can provide some amazing benefits, health wise. 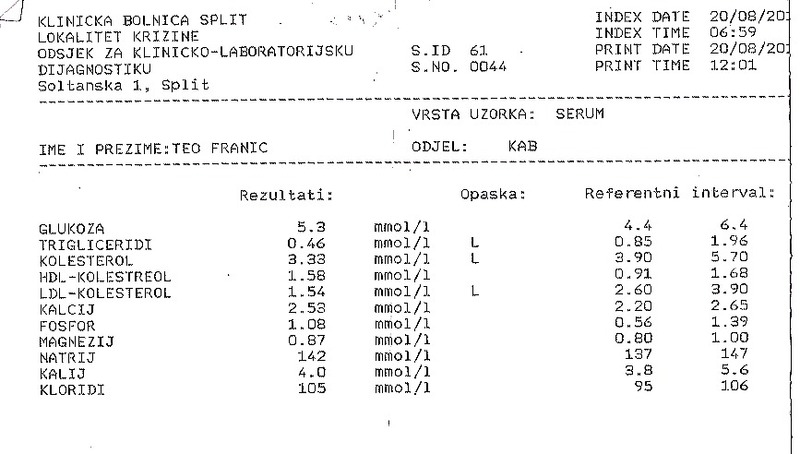 Although the lab test is in Croatian, you can probably recognize what is cholesterol, triglycerides and electrolytes. Just in case, I have made a small legend to clear things up. Also, you can translate some of the text very easily, thanks to internet. Referentni interval - Reference interval or normal blood values in a healthy human being. Note: At the top of the test are additional informations about the facility which conducted the test as well as the date and time, besides the name of the patient, that is, my name. However, these informations are irrelevant. I just wanted to show you that it is possible to lower cholesterol and triglycerides through diet and exercise, very drastically. 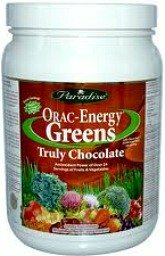 Supplements also helped but I really didn't have to take them since they lowered my blood lipid levels, too much. Although, I don't have any cholesterol lab results, before starting heart healthy routine, I believe that they were elevated, since I was considerably overweight and I had yellow patches around my eyes. At the time of this test, I was a lot slimmer, thanks to diet and exercise. 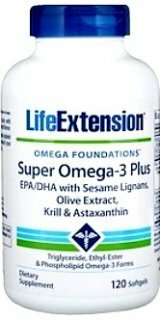 On the other hand, due to very low cholesterol levels, I experienced chronic muscle pain in my legs and back which went away after prolonged rest, combined with increased fat intake and adaptogens.